Ricochet - FUNdoing. People. Together. Learning. 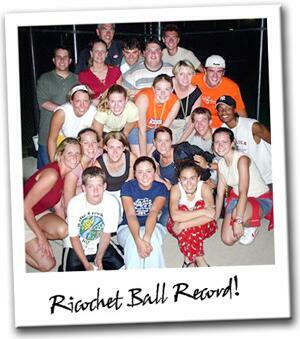 Ricochet and other fun games are played with a reaction ball (the generic retail name). 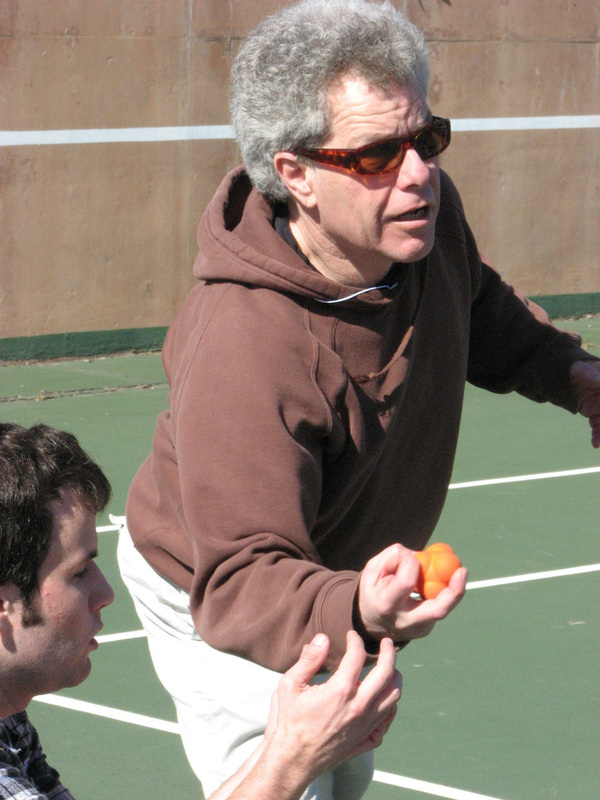 Historically the ball was designed for reaction training exercises for athletes in a variety of sports. 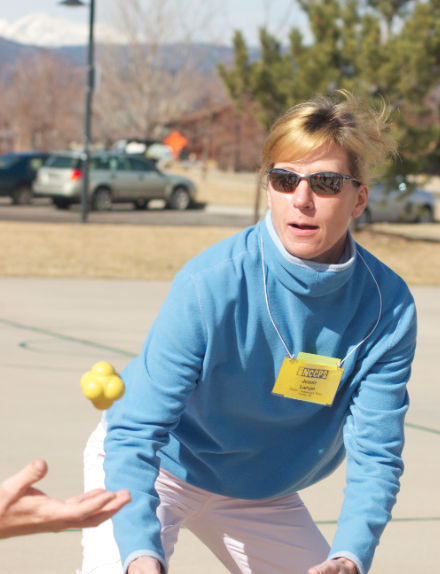 Over the years a number of group games, both cooperative and competitive, have been developed by Chris Cavert and other active r-ball players for the energetic "ricochet ball" (or the "r-ball" as the ricochet players call it). Most of these games are found in, "Ricochet and Other Fun Games with an Odd-Ball." Here you will find the official rules to the "records book" games, additional games developed after publication of the book, resources, player ramblings, and "The Official Ricochet World Records Book" to document extraordinary r-game feats. This set of six colored r-balls work well for mid-bounce games like one moRe, oveR the line, bReak out, and Reduction. The best ball for long-bounce games like Ricochet, doubles Ricochet, and gRoup-R. These play the best for Table-Top ricochet and games like bReak-out and Rocce ball for younger populations (softer and more forgiving). Group of Two: 76 Points - Chris O., & Chris C.
Group of Three: 67 Points - Matthew M., Connor G., & Dylan G.
Group of Four: 39 Points - Conn C., Brent B., Isaac F., & Chris C.